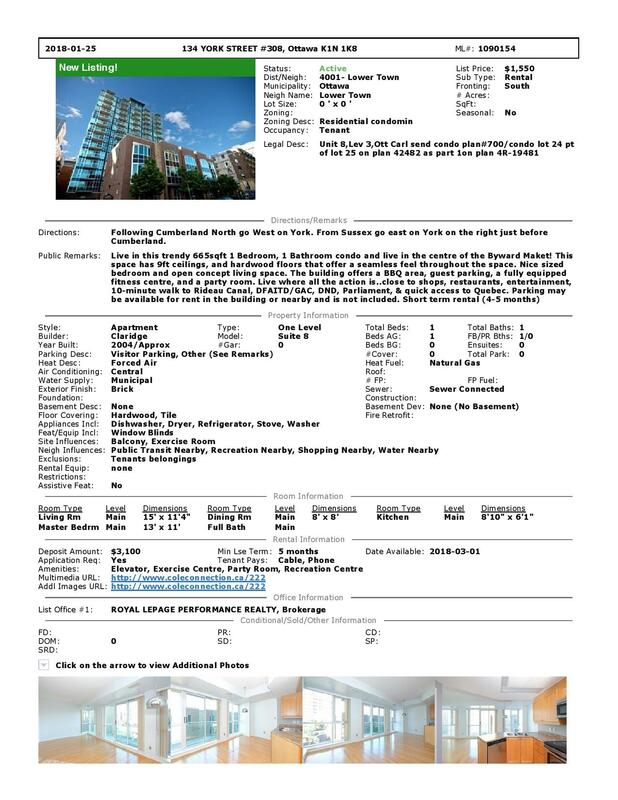 Live in this trendy 665sqft 1 Bedroom, 1 Bathroom condo and live in the centre of the Byward Maket! 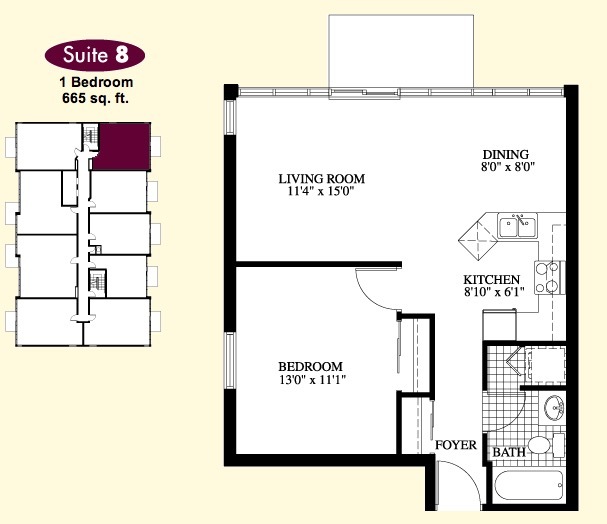 This space has 9ft ceilings, and hardwood floors that offer a seamless feel throughout the space. Nice sized bedroom and open concept living space. The building offers a BBQ area, guest parking, a fully equipped fitness centre, and a party room. Live where all the action is..close to shops, restaurants, entertainment, 10-minute walk to Rideau Canal, DFAITD/GAC, DND, Parliament, & quick access to Quebec. Parking may be available for rent in the building or nearby and is not included.